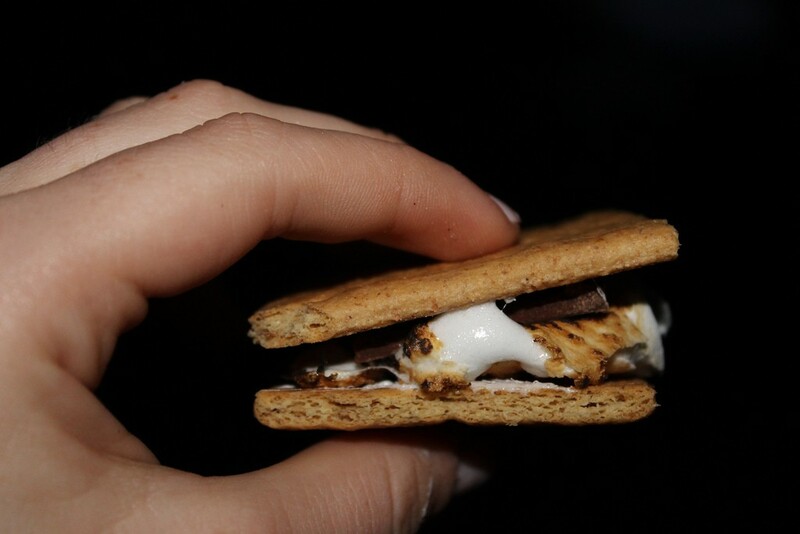 Story: It’s a childhood right of passage to make s’mores at a campfire. Your stick, laden with marshmallows, is dangling over the snapping fire. Do you have the patience to wait for the marshmallow to get perfectly golden brown? Or will you stick it in the fire, set it ablaze, and blow it out, leaving a robe of black over the gooey interior? Regardless of your choice, you’ll place the marshmallow on a chunk of chocolate, and sandwich it between two graham crackers – the American cousin of the digestive biscuit. 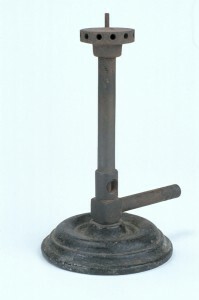 Bunsen Burner (Inv. 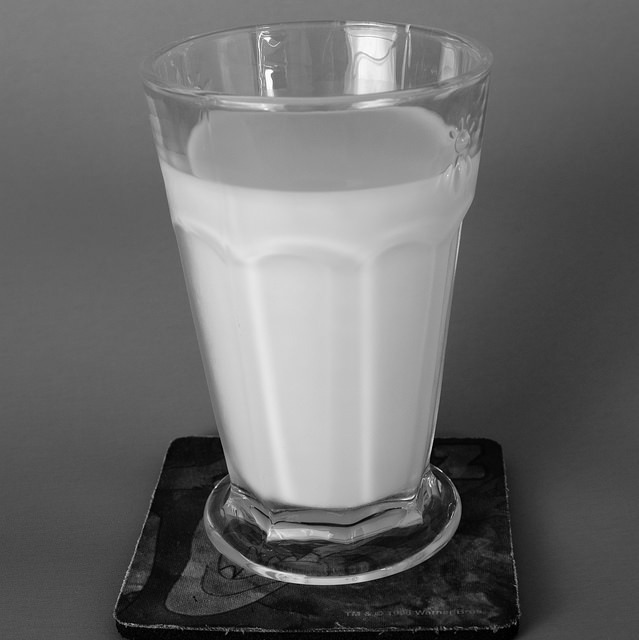 40900). We wonder if you could make s’mores with the flame from this? We don’t always have the luxury of being in the wilderness to make a fire when the desire for s’mores hits. Sometimes, you have to improvise, and it’s certainly better living with technology. For just such occasions, you can save a tree and instead reach for a camp stove. One night at university, my friends and I had the urge to cook up some marshmallows. We grabbed our camp stove and headed out to the patio. As designated chef/pyrotechnician, I set up the burner. I lifted the metal apparatus, and filled the reservoir with lamp oil. I wiggled the lever, in order to send oil through the burner. And then I lit it. Apparently, I’m a better fire-starter than I anticipated, because I managed to singe the hair off of my forearm. But for sitting on our patio, eating marshmallows, and thinking about our childhoods, having hairless arms for a while was a small price to pay. 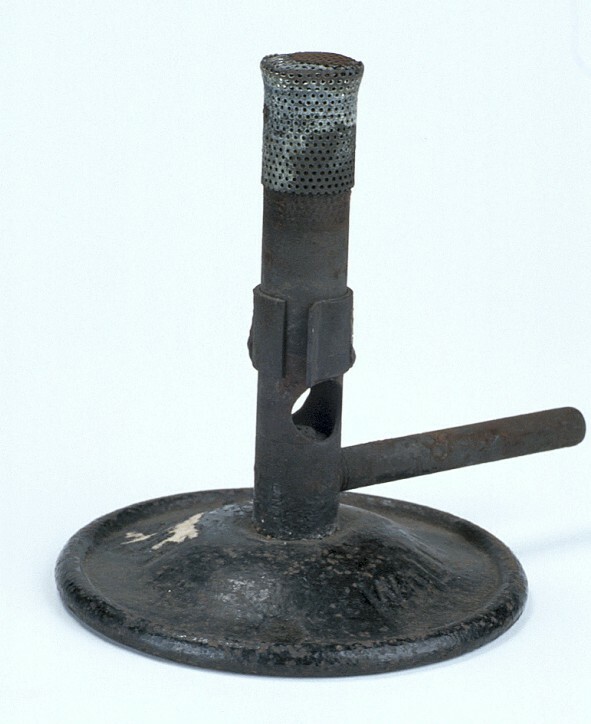 Gauze Top Bunsen Burner, c.1874, (Inv. 45602). Who else used Bunsen Burners similar to this when heating things at school? 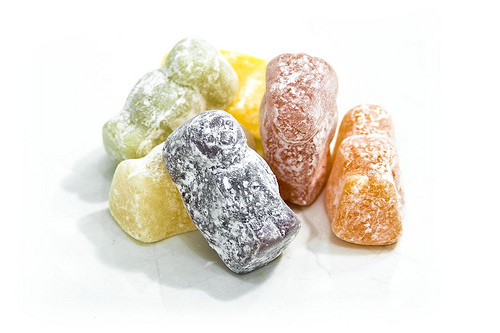 Story: We did screaming jelly babies at school – we added potassium chlorate, a heated substance, to the jelly babies and they turned a lilac colour and screamed and then blew up.